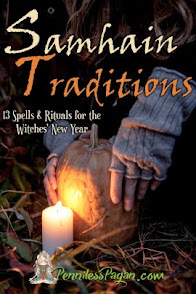 If you haven't heard, Samhain Traditions is now available in e-book and paperback! ...And if you have somehow managed to not hear me sqwak about it, I'm kind of sad. I mean, it's sort of all I'm talking about at the moment, so you must be avoiding me. Which makes the halls of the internet awakward as we pass each other on the way to bio class. Was it something I said? Is it because Jimmy claims we went to second base at Make-out Point down past the old soda shop? Because Jimmy's a goddamn liar. And we're not in the 1950's. So I'm not sure why I can't come up with a better make-out location than an empty cliff. I've had a lot of tea this morning and it's a mere three weeks before Samhain. You'll have to forgive me if I'm unusually, ehh, feisty. We'll say feisty. So much more socially acceptable than certifiably insane. ANYWHO! Samhain Traditions is out and all the cool kids are doing it. But, like the creepy twenty-year-old who still hangs out by the high school cafeteria, mourning his golden years and skeeving out the freshmen, I'm here to give you a free sample. Letcha see why all the cool kids are doing it. ...I think this kitschy scenerio got away from me somewhere. Should probably just get back to the facts before this gets any weirder. 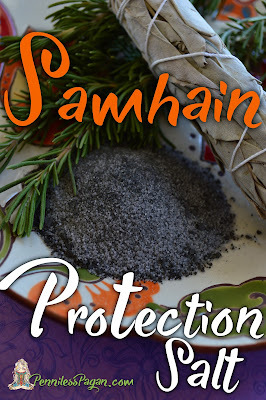 Samhain Protection Salt is one of thirteen simple and affordable spells from Samhain Traditions. Well, actually one of fourteen. Because there's a simple BONUS spell. It's kind of my thing to toss in bonus spells, the way it's kind of Jimmy's thing to spread rumors. If you're looking for a meaninful way to honor Samhain that will last throughout the year, Samhain Protection Salt is the ritual for you. But rather than talking about it—and leading us down a weird Stephen King-esque reminiscence of a decade of which I was not even alive— let's get straight to the spell! Whether it’s the scent of pumpkin bread and apple crisp, or the crimson leaves dancing in the October wind, or the warm embrace of a woolen sweater plucked from the depths of your closet, there’s something cozy and indulgent about autumn that brings out the domesticity in all of us. This is ever present in the magickal enchantment of Samhain. 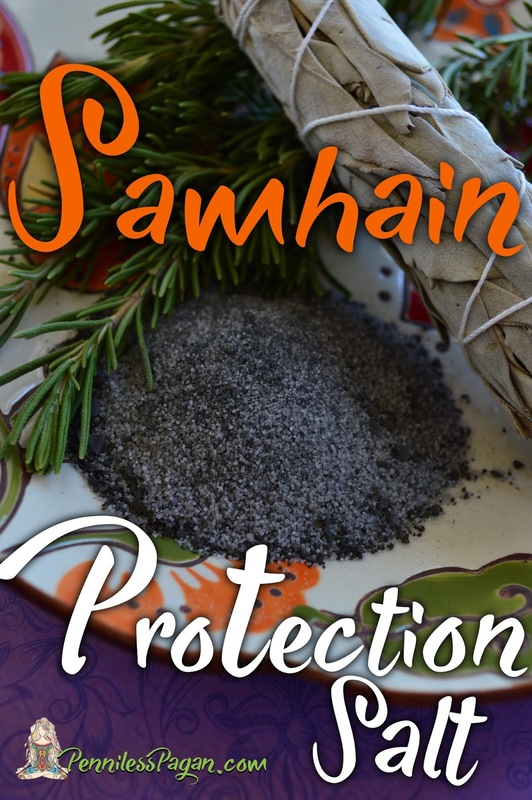 Samhain Protection Salt is a ritual that provides strong protection all year long. Utilizing shielding herbs and the energy of your ancestors, this salt is a potent safeguard against negativity of all kinds. Sprinkle some in a sachet to banish nightmares. Use some around the exterior of your home to ward away those with ill intent. Add a sprinkle to a good-luck bauble to dispel unwanted vibrations. This herbal-infused salt literally has endless uses in your Craft to encourage protection, safety, and to disrupt negativity. 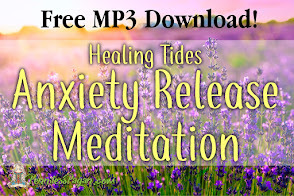 ★ Roll up the slip of paper and place it at the bottom of a cauldron or burning receptacle. Place the dried herbs on top. ★ Standing in front of your cauldron with your palms facing the herbs, envision your ancestors standing beside you. Feel their energy, their love and blessings. Allow the peace of their presence to settle over you before lighting the herbs. When you are ready, ignite the paper and let the herbs burn to complete ash. You may need to reignite if the fire burns out. That’s okay! Be patient and enjoy the ritual. 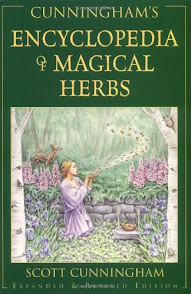 ★ Once your herbs are fully burned, grind them into powder by using a spoon, or pestle and mortar if you have one. It doesn’t need to be a perfect dust, just as fine as you can get it. No need to stress. ★ In a bowl, combine the salts and ash. Mix thoroughly. With my ancestors’ spirits united beside me. I consecrate these salts, this spell is now blessed. ★ Pour the salts into a clean jar and store in a cool, dry place. If your salts clump, don’t fret! Simply stir before using. Note: This salt is NOT suitable for ingestion! This salt is for spell use only! Due to the ash, these salts can stain fabric, so please exercise caution. See, I told you it'd be simple yet meaningful. 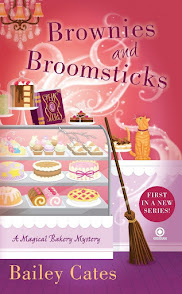 I may go haywire on fictional boyfriends, but I'm a straight shooter when it comes to magick! 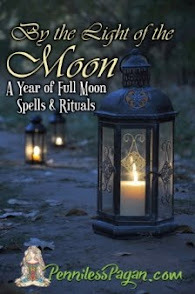 I hope you enjoyed this free spell from Samhain Traditions! 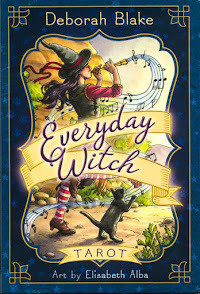 If you're looking for more spells and rituals to help you celebrate Samhain year after year, grab yourself a copy today—available in e-book AND paperback! What's your favorite Samhain tradition? This post contains affiliate links, which means if you purchase a product I make a small percentage that helps keep this blog running (but does NOT affect your cost). Thank you for your support! I "follow" your blog through Pinterest (obvs I'm following you on Pinterest, which sounds incredibly creepy, but I'm not-I swear), and I love this idea. I've seen other "recipes" for making protection salts, and this is nice and easy. Thanks! Not creepy at all! Pinterest is pretty much the greatest invention since the internet, and I'm always happy to see new followers. Really glad you like the Samhain Salt spell! Thanks for taking a moment to leave a comment. =D Happy October! I hope you have a blessed Samhain! Poor fictional Jimmy is really taking some flack! Hahaha. Thank you SO much for your kind words! 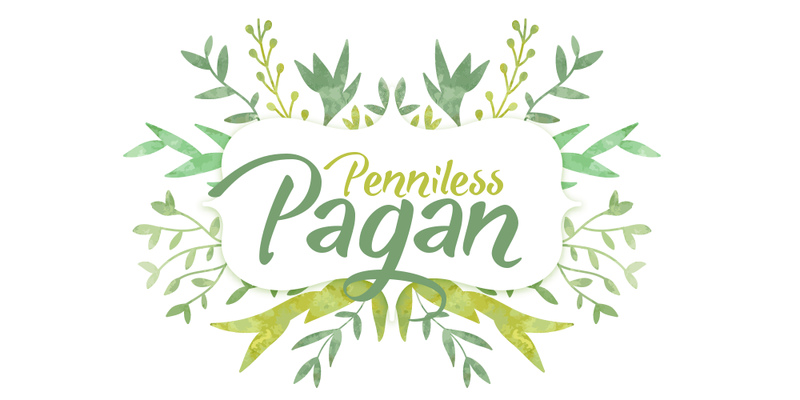 It really lifts my mood to see your excitement for putting those spells to work (That is quite possibly one of the most awkwardly worded sentences to ever grace this blog, but you catch my drift). Your Samhain rituals sound fantastic. What a wonderful way to honor the departed! Thanks again for your continued support. You're always so kind and encouraging, which I greatly appreciate! =D Happy Samhain!